Modernist cooking encompasses a huge amount of information but Jason helps you create amazing food at home in a simple, easy-to-understand manner. With several resources that you can use to jump start your cooking, you will be creating amazing food in no time...and wowing your friends and family. As an adventurous home cook himself, Jason Logsdon explores everything from sous vide and whipping siphons to blow torches, foams, spheres and infusions. He takes gourmet cooking techniques and translates them for the home cook. Whip it...whip it real good! From sous vide and modernist cooking to whipping siphons and infusions, Jason has you covered. With more than 60,000 copies sold in print and electronic versions, including an Amazon best seller, Jason is one of the most prolific authors of modernist cookbooks. Jason and Amazing Food Made Easy are often in the news. Jason was interviewed by the New York Times about his work in sous vide cooking and was quoted along with Thomas Keller. La Presse interviewed and quoted Jason heavily for their article on the advances in sous vide cooking. Jason was quoted in the Gourmia press release about the partnership between Amazing Food Made Easy and Gourmia. Jason's books were featured in an episode of NCIS: New Orleans. Jason was interviewed by Bjork from Food Blogger Pro for episode 55 of their podcast. Jason talked about his experiences with self publishing and how he got started in modernist cooking and blogging. Jason was the "Special Guest" for episode 8 of the Hungry Squared podcast and talked about sous vide, infusions, and the whipping siphon. Umami profiled Jason for their "At the Table" series of articles exploring the upcoming voices in cooking. As part of their "Expert Interview Series", Cilantro did an in-depth profile on Jason discussing his views on modernist cooking. Want to Work With Jason? Whether you are a brand, a blogger, or a chef there are lots of ways to work with Jason Logsdon and Amazing Food Made Easy. Here's a few of the more popular ones. With more than 150,000 pageviews a month and a newsletter of more than 10,000 people, Amazing Food Made Easy makes it a snap to reach a new audience. Do you have a piece of equipment that needs recipes to go with it? Jason has worked with Gourmia, Modernist Pantry, and others to develop the custom guides they are using. 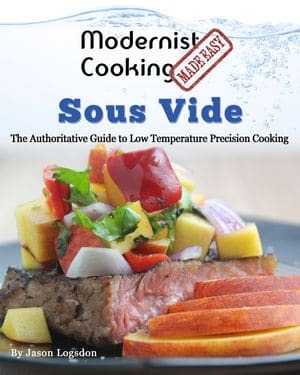 Creating an article, TV show, or podcast and need insight into sous vide or modernist cooking? Jason makes himself available for interviews with select publications. 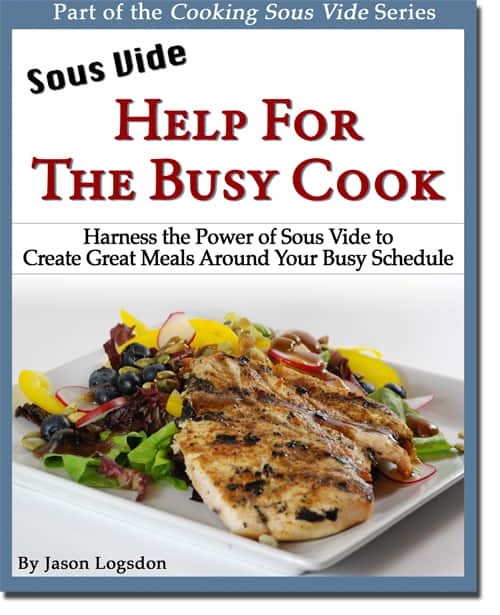 Are you a blogger or brand that has information that is great for sous vide or modernist cooks? Jason is always looking for unique guest posts. Interested in a more intensive approach? Jason is willing to sit down with certain chefs or home cooks who are looking to add modernist cooking to their toolbox.